I Love Love-Love-Can you Feel the Love-Love this set. 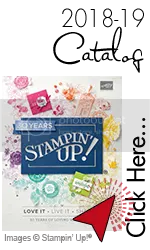 It is the New Stampin' Up!® Morning Cup. So if you drink Coffee, Tea, or Hot Carrot Juice (don't ask-it goes back to my childhood and its not pretty! )-I think you will really enjoy using this set. Of course you will see more ideas for this set-just sit tight and stay tuned for more ideas using everyday ideas as well as Holiday ideas. Morning Cup W#116988- $21.95 or C #120489 $16.95 (I used the clear). Very Vanilla C.S. #101650- $8.50 (40 sheets) 8.5 X 11. Don't forget about my Online specials this month. Just go to the top and click on my Specials page to see my gift for ordering online or signing up with me. Please pass me on to others who enjoy creativity. I love this and have everything to make it, including two decent tea bags!! Thanks for sharing.